If you plan to live in the dormitory you must contact OIMB to reserve a space. 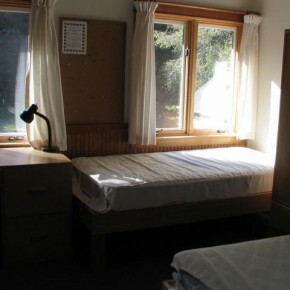 The undergraduate dormitories at OIMB are individual or double rooms with a bed, desk, chest of drawers, and wardrobes. You will need an Ethernet card and cable for a wired connection or wireless card for wireless connection, if you bring your own computer. Meals are served daily in the dining hall and good food is a tradition at OIMB. Laundry facilities are available and pets are not allowed on the OIMB campus. Dorm students in Eugene need to be aware of the following information: Students with a housing contract may petition for a release from the contract in order to attend OIMB. 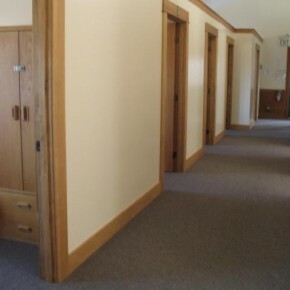 BUT, unless the student is a graduating student or otherwise not planning to return to UO dorms, they should at THE SAME TIME, petition for return to the UO dorms. Otherwise, they will go to the bottom of the list of choices and availability. 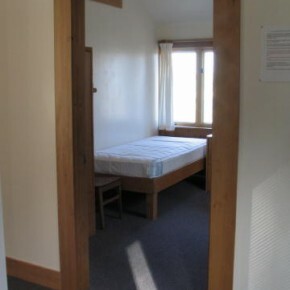 Room and board costs $224 per week. *NOTE: 1) Fall term often does not have high enough enrollment for the dining hall to be open. If this is the case, students only pay for housing and will be housed in dorms or cottages with kitchens so that they can cook for themselves. 2) If you are taking the Summer weekend courses as well as an 8-week Summer course, you only pay the total for the 8-week term, not the total of both. The cost of room and board for the 2-week Summer course is, however, added to that of the 8-week term if you take both. Students living off campus may purchase meals on a pro-rated basis in the dining hall. The Loyd and Dorothy Rippey Library is staffed on Monday – Thursday, but is open to students 24 hours a day as are the five laboratory classrooms and the boathouse auditorium. For the dorm: bedding and a pillow, a padlock for the wardrobe units. For classes: Knee high rubber boots, a raincoat and rain pants, paper and writing supplies. Textbooks and dissecting supplies are available for purchase at OIMB and course specific supply needs are posted with each course or will be sent when you register for the term. 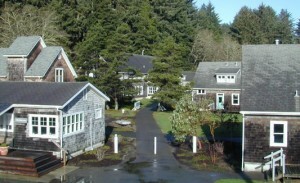 The OIMB campus is located in the fishing village of Charleston. A five-minute walk takes you downtown to the general stores, restaurants, a post office, and a coffee shop. 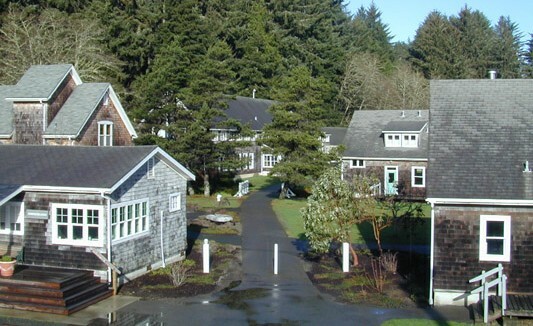 OIMB is eight miles from the cities of Coos Bay and North Bend with their airport, public libraries, movie theaters, stores, and large ocean ship docks.